Apple is adding one of the most-requested features to iOS 8: inter-app communication. App developers will be able to enable "extensions" in their software so that it can be used within other apps — examples demoed onstage at WWDC included VSCO Cam editing functionality accessible from within Apple's stock Photo app, and Pinterest sharing inside Safari. 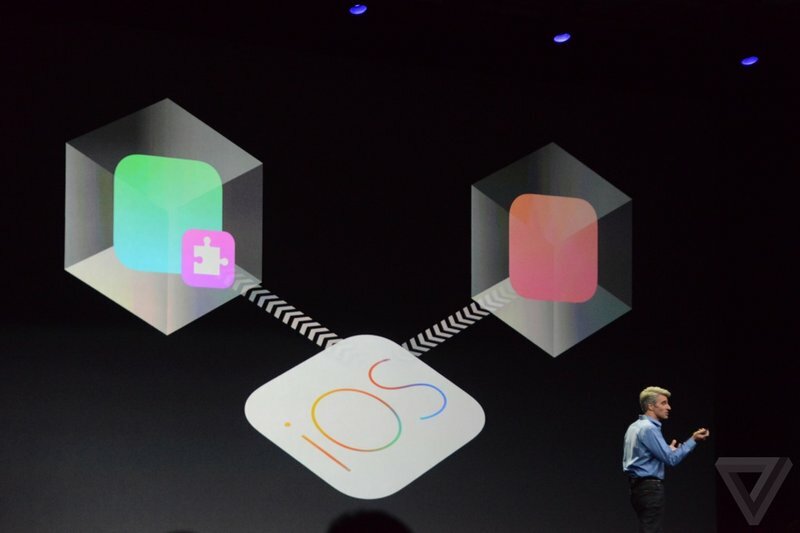 "To handle extensibility in the iOS way, extensions live in app sandboxes," says Apple's Craig Federighi. "But apps can reach out to those apps. This enables some great things. "